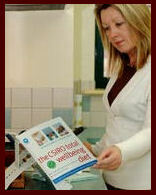 The staff at Courtney’s Quality Meat is committed to the highest quality customer service and satisfaction. A high percentage of our business is from repeat customers and referrals. Stephen has been working in the retail butcher industry for over 47 years. Inspired by his father's family business in Ayr, North Qld, Stephen commenced Courtney's Quality Meat at Graceville in 1990. 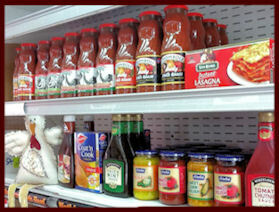 His Italian Heritage has influenced his sausage production using authentic family recipes. Ask him for a quote to cater for your next party or function, he's vey accurate! Monika has been working at Courtney's Quality Meat for the past 29 years. Stephen's Nonna influenced Monika's cooking with Italian recipes including making fresh pasta from flour & eggs. Cooking up a feast is Monika's specialty! 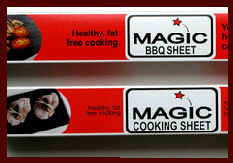 With the use of fresh herbs & spices you can turn the bare essentials into delicacies. 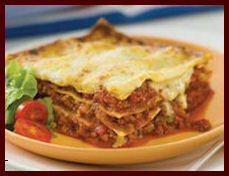 Risotto, Pasta, Vegetables & Fresh Meat can be transformed into tantalising sumptuous meals. Recently Monika has been learning the art of Indian Herbs & Spices from May Isaac of May's Spice Rack. Producing pastries for the customers to take home & bake are another product including, Vegetarians Pastries & Meaty Cornish Pasties. 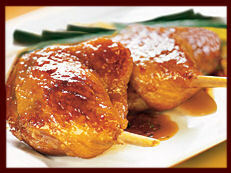 Allow Monika to make your life easier by providing gourmet products to TANTALISE for families taste buds. Courtney's are excited to announce that we achieved Gold as winner of the Pork Innovation Competition, Qld; for Monika's Pulled Pork Pies! 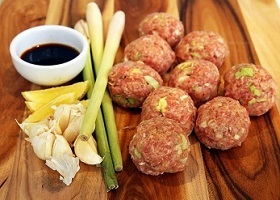 Our Asian Styled Meatballs took out 2nd place! Produce is turned over daily with delivery of chicken and other fresh meat products each morning. 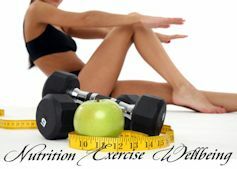 The Quality is guaranteed and pricing is very competitive. 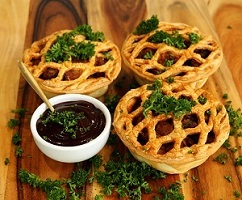 We cater to Schools, Hotels, Nursing Homes & for small and large functions. 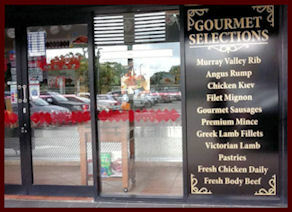 Our crumbed lines are of the best quality cuts, chicken tenderloins, veal, lamb cutlets, veal & rump. The meat is thicker than the crumbs! 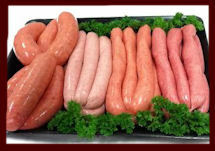 We produce a range of low fat, gluten free sausages and look forward to requests for specific recipes. We are here for the long term so our reputation is important to us. 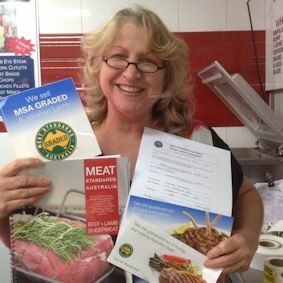 In February 2014, Monika entered The Great Australian BBQ Competition assisted by Jeff Ram & Justin Pickering. With mouthwatering recipes, our first plate was Australian orientated using local produce, Crocodile & Pork Stir Fry with Macadamia Nuts. The 2nd Plate consisted of Courtney's Greek Styled Lamb Rump & A Coucous recipe featured on Nonna's Apron Blog. The 3rd Plate was a Delicious Rib Fillet. The second round was a Mystery. We discovered 2 whole chickens & ingredients. After I dissected the chickens we developed 3 respectable Dishes. They tasted great also! 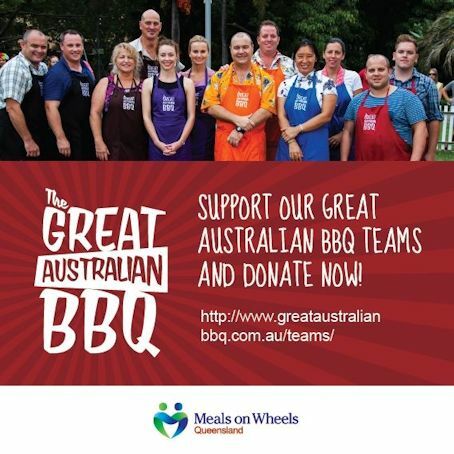 The GreatAustralianBBQ was developed to raise awareness to the Great work by MEALS ON WHEELS. Volunteers not only deliver a tasty nutritious meal to the Elderly & People with Disabilities, but a friendly face & smile, especially when people are isolated. The show was aired the 3rd of May, 2014 on 7Mate Channel.